Can you believe it? Baseball season is almost here and with it comes months of waiting for that Coors lineup to post, sweating out weather reports, stacking against David Holmberg and everything else that makes the summer great. At DFSR we're going to lead into baseball season with some strategy articles to get your mind spinning on all the nuances that comes with daily fantasy baseball lineups. If you want a lot of these ideas condensed into one place, make sure to download a copy of our free baseball eBook. There's a nice shiny link below. And while you wait for MLB, you can get a jump start on our membership package. 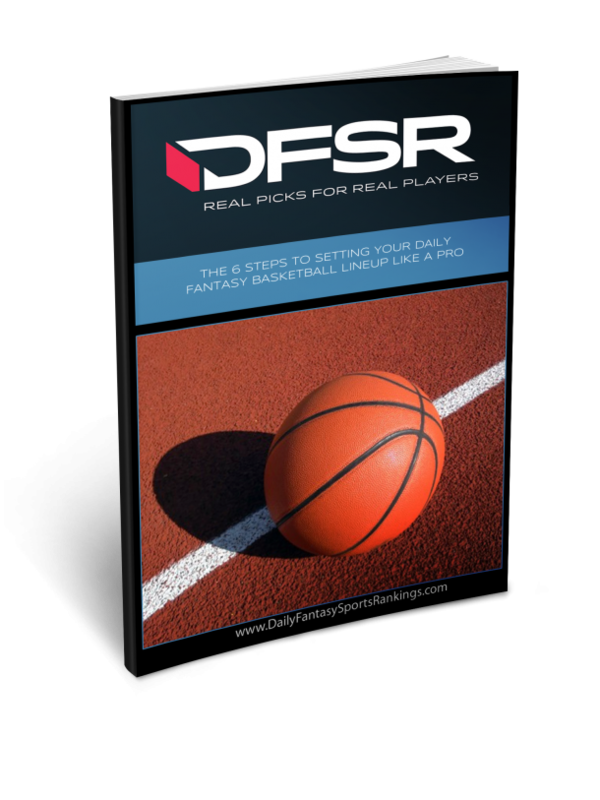 Right now we've got projections for NBA and NHL running everyday and FanDuel and DraftKings NBA Optimal Lineups in our DFSR Pro package. Click here to get started. Now let's start looking at the baseball season. The ever-elusive win. Many sites have it weighted in such a way that the simple W can swing your team in and out of the money quickly (I suppose the HR has the same effect). So we need a functional and realistic way to determine pitcher win expectancy. The Vegas money line gives us some indication of how much the nerds in Sin City think a certain team will win the game. And Vegas being smart and all, I think we can trust money lines almost as much as any other predictive measurement. A -200 line for a dude like Clayton Kershaw against say the Giants tells us roughly that the Dodgers are a 66% favorite to win the game. But unfortunately can’t just give the whole win to the blonde beauty Clayton. A team’s win, while likely to go to a starting pitcher, isn’t his to own. The Hardball Times did some research back in 2009 into how often a starting pitcher accounts for a team’s win. With this in mind we went and looked at the trends over the last two years. In that last two seasons we’ve seen (via FanGraphs) that in a given game, a starting pitcher will get the win about 75% of the time. A single starting pitcher, if all things are equal, can expect to get a win about 37.5% of the time. That means in an evenly matched scenario on FanDuel, a pitcher walks into a game with only 4.5 expected win points. I found this number sobering when we first started examining this rather simple formula. It’s very easy to look at a crazy Vegas line and just pencil the favorite starting pitcher in for 12 points, but that’s a mistake. A lot needs to go right for those 12 points to hit your lineup. Rather than look at wins as a clear, binary, yes/no function, it makes much more sense to calculate expected win points and go from there. Now of course, unlike other calculations you can’t get partial win points. A pitcher either gets all 12 or none at all. But determining those expected wins relative to price is a great place to start. On DraftKings that line would score 22.95 points with 17% of them for the win. On FanDuel though, under their new scoring, that line would earn 45 points with 27% of it from the win. That 10% is a significant difference and makes wins on FanDuel much more valuable. DraftKings scoring is more reflective of a solid pitching performance with the “luck” of the win diminished to some degree. It’s just one reason you’ll see different pitching recommendations this year between FanDuel and DraftKings in our daily MLB articles. In short, the money line is a great place to start when trying to determine how a pitcher will score on a given day. And if you don't want to do these calculations on your own every day then make sure you sign up for our baseball projection system. But it is not the only factor. In the next posts we'll take a look at other relevant factors and how they all come together to make a pitcher projection. Thirsty for more? 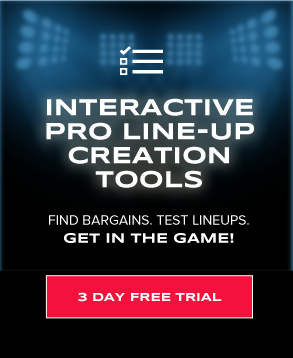 Get a copy of our free ebook on setting daily fantasy baseball lineups delivered right to your inbox. Just click the link below.